It is an awesome time to be a mountain biker. I wrote a piece just over a year ago that pondered the question, “do I want a long travel trail bike, or an all mountain bike?” A year later, the lines have blurred even further. For a casual rider, it could mean even more confusion when looking at rows of options at the local bike shop. General managers and buyers undoubtedly are cursing the additional amount of inventory to choose from for their stock. For myself, I define the all mountain ride as a do-it-all jack of all trades, master of none style of bike. Somewhere in between a bike that the masses ride as the contemporary mountain bike, and a mini-DH bike. With geometry suited for aggressive riding, all mountain bikes have become the bike that people can ride to the top of a mountain at their own pace, but rip down on. Geometry wise, all mountain bikes have settled with a common denominator of a 66.5º or 67º head angle. Depending on the manufacturer, seat angles vary, but we’re seeing angles ranging from 70.5º – 75º. When I think of all mountain, I think of Hood River, or the riding in BC. Ride to the top, then riding everything on the way down. 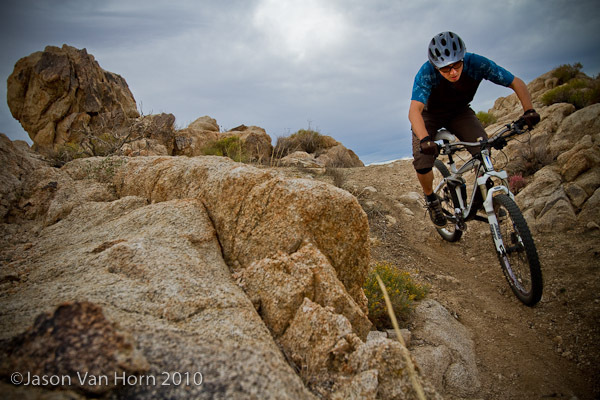 Once you’ve hit the egg drop at Post Canyon with your trail bike, you are definitely running all mountain style. Seat tube angles are all over the place, and have a pronounced effect on your climbing position. Each brand has its own philosophy as to the perfect angle, and every rider will have their preference. Those looking to emulate a more traditional riding position tend to position themselves over the BB, while others like a slack seat angle for when the saddle is slammed. However, the head angle is the number that most effects the handling of a chassis. Initially, we were forced with a choice: having a heavier bike and suffering on the hills so we could blast by our friends on the down hill with our heavier all mountain steeds, or going slightly lighter and carrying a bit less suspension for a more solid all around trail riding experience. It used to be a choice- a lighter weight compromise for better long distance, or heavier duty do-it-all. However, all mountain have gotten lighter, and if you have the cash, you too can throw your leg over 6″ travel bikes that weigh in as little as 26lbs with full all mountain capability and our dialed 67º head angles. If you’re in Downieville rolling with your DH buddies on one day, and pedaling up with your XC pals the next, this would be the magical setup. What is long travel trail? This category has been pretty loose, but anything with a 140mm-150mm travel front fork and a 68º or steeper head angle has been thrown in this mix. All mountain set ups generally are spec’d with one of two fork options: the 160mm travel Fox 36 forks, or the 160mm Travel RockShox Lyric. This year all mountain has become a bit more complex with the addition of 170mm models that are intended for the all mountain category, that also are capable of light bike park/ freeride duties. Long travel trail bikes however, tend to be set up with lighter forks than their all mountain counterparts. The Fox 32 line or the RockShox equivalent, the Revelation being popular choice of spec. With the 32mm forks now offering light weight with a 15mm or 20mm through axle (about a pound lighter on average compared to a 36mm fork) they offered high performance for all around trail duties. So there you had it- long travel trail= 68º or steeper angles, designed for 150mm of travel or less. Lighter weight, but better/faster uphill. All mountain was 67º or 66.5º with 36mm travel forks. A bit more capable, but heavier. Frame weights between long travel trail and all mountain are similar, with 160mm bikes weighing in a bit more. But not much more. 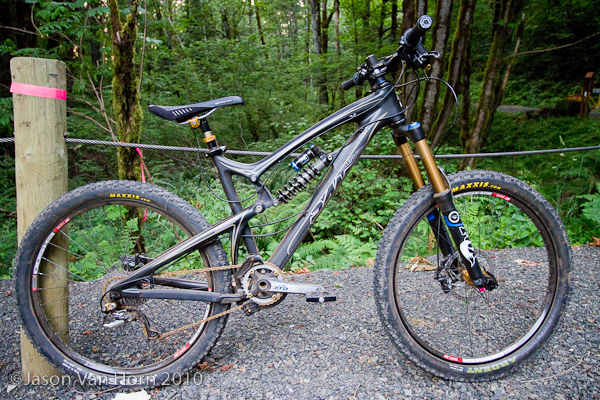 For example, the 5.5″ travel Santa Cruz Carbon Blur LT is listed at 6lbs. 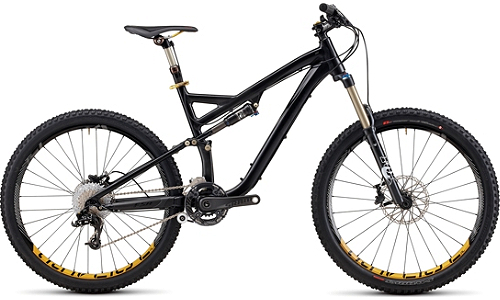 with a shock, while the 6″ travel Carbon Nomad is listed at 6.06lbs. Wait a second, the weight difference is only .06lbs? I’m regularly seeing riders on trail bikes that weigh in more than my all mountain bike. At this point, we start to ask, what is the point of having less travel? Ok, there are many, but with the prominence of tapered headtubes, combined with the release of Cane Creek’s new adjustable angle headset, and long travel trail frames can now be configured to have the same head angles that were once limited to all mountain bikes. 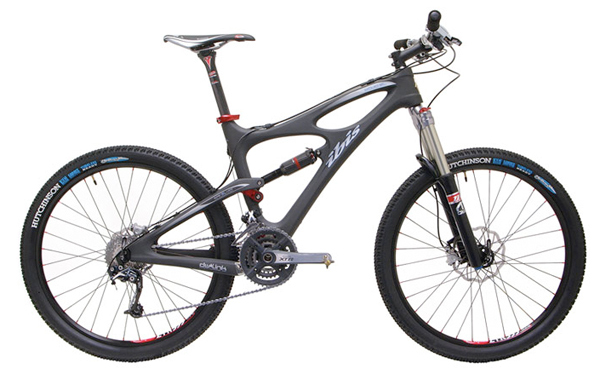 Want to run that Carbon Blur LT more like an all mountain bike? Now you can have that sweet handling front end while keeping that competition weight. Ibis offers their new 160mm travel Mojo HD all mountain ride in a shorter 140mm version- it’s all mountain with less travel. For flowy trails with a smooth tread, that would simply kill it. 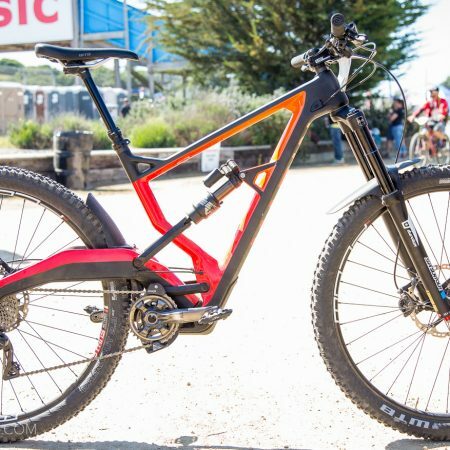 Specialized offers a slacker version of of their traditional Stumpjumper frame in a new EVO configuration that is sure to be a ripper with less travel. 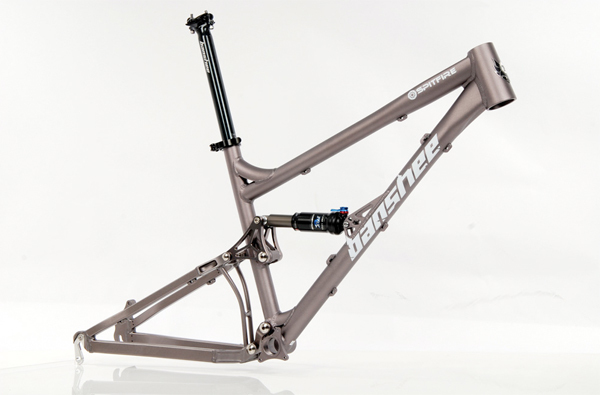 Smaller boutique brand Banshee in Canada offers a 5″ travel trail bike targeted as the “XC bike for DH riders” the Spitfire. For 2011, Trek has been offering the 150mm travel Remedy with a light weight Fox 32 Talus fork featuring adjustable travel from 120mm to 150mm. The change in fork spec has steepened the HA to 68º, but depending on how you wanted to ride it, it would be feasible to either run an CC AngleSet to slack it back to 67º, or put a 160mm fork on it to bring it back to its full all mountain potential. If you are a fan of the Santa Cruz Carbon Nomad, your choices on set-up are endless if you build this bike up from a frame. Santa Cruz Carbon Nomad with a capable all mountain build. 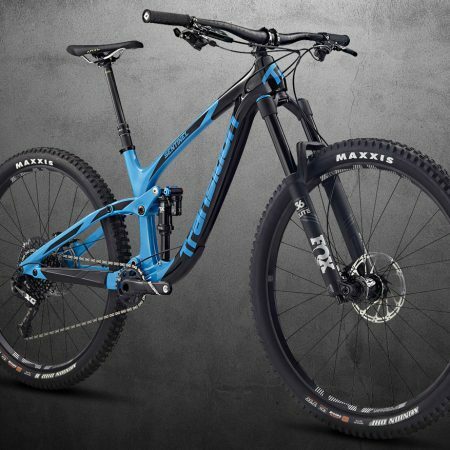 Though I have yet to see it, running this bike with a air shock and a 150mm travel front end would emulate the riding of a Blur LT- and again, the game changing AngleSet could be used to maintain the all mountain handling aggressive riders love. With a light build, one could beat the XC wearing lycra crowd at their own game, while still having a blast on the descents. Or build it with a more free ride oriented configuration with a 170mm fork, and you’re ready to do a heli-drop or runs at the bike park. 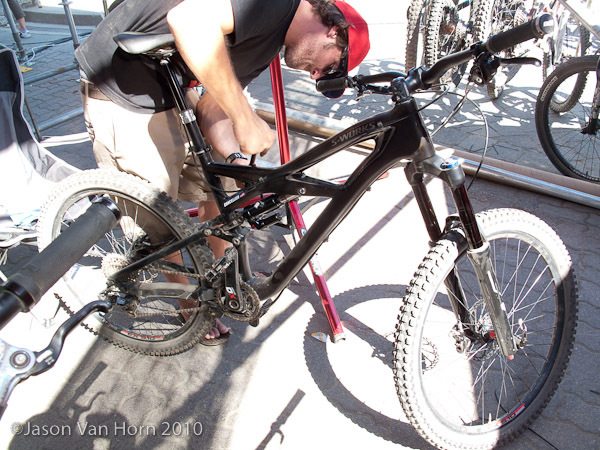 It’s hard to ignore the 2011 Specialized Enduro as well. Under 27lbs., 160mm of travel means you can ride uphill AND down with the best of them. It’ll cost you, but so will a choice build with any of the models listed above. The S-Works Enduro above weighed in under 30lbs with DH tires and an adjustable height seatpost. In my book, that is nothing short of awesome. I’m having a hell of a time trying to decide what I want to ride next year. 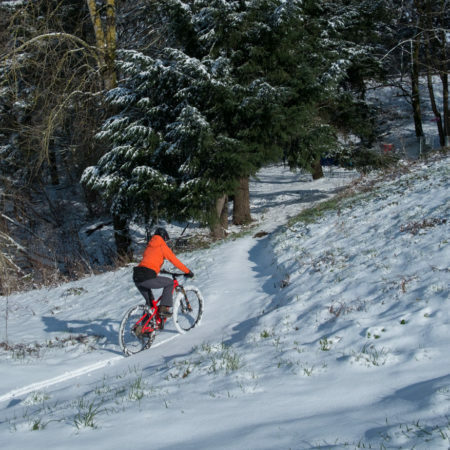 Yeah, it is a good time to be a mountain biker.